PRO Battles are battles which have been created manually by the players. These are, more or less, custom battles with the ability to customize a variety of game mechanics, for example drones, micro-upgrades and so on. All PRO Battles which are live and available to you - provided that you are of an appropriate rank, are visible in the main lobby in the list of battles. 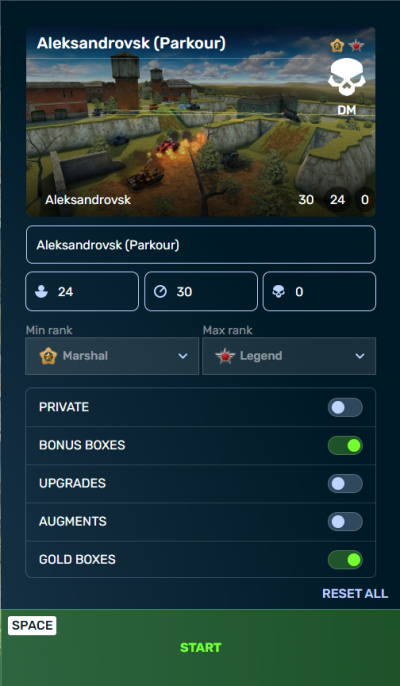 Access the battle list by clicking the Battle List button in the Matchmaking interface (available only from the rank of Warrant Officer 1. Note: The Battle List button is at the bottom of the interface - you may need to scroll down to see it. After the battle list opens, you can use the battle filter system located at the bottom to shuffle through battles of various game modes. Attention! In PRO Battles, progression towards Daily Missions does not count! In order to complete them, you need to play in battles created by the Matchmaking System! Buying the PRO Battle pass allows you to create and play in PRO Battles for an unlimited number of times, but only within thirty-one days of the purchase. After this time period, the subscription will terminate. The pass appeared in early 2010 and was called the "Battle Without Supplies". Until April 23, 2010, the pass costed 2 000 (20 000 in the current rate). Since April 23, 2010 the pass dropped to a price of 1 000 (10 000 in the current rate). On June 4, 2010, it became possible to pay separately for joining a single "no-supplies battle", and the pass itself fell in price to 500 (5 000 in the current rate). After Patch Update #208, on December 19, 2013, the pass acquired its current name. On December 11, 2014, the opportunity to create a "PRO battle" was turned off and participation was made free of charge in a self-created battle without a pass. Adjustable parameters while creating "PRO battles" often changed throughout the years. After the introduction of Daily Missions, the subscription can not be received as a gift when entering the game (does not apply to the bonus after a month's absence). Introduced in the game on October 21, 2015, the Premium Account subscription awarded the player with a free PRO Battle Pass among other things, such as supplies and crystals. On November 24, 2016, the availability of a subscription was made a necessary condition for the creation of customized battles. On May 12, 2017, the PRO Battles began to appear at the bottom of the battle list, regardless of whether the "PRO Battle" account or premium account was active. October 20, 2017 the pass became available for purchase with the rank of Master Corporal. On July 20, 2018, the pass became available for purchase from the rank of Warrant Officer 1. You can only create three battles per five minutes. Banned players do not have the ability to create battles until the ban is in effect. Map — the list of maps you can use depends on your rank. 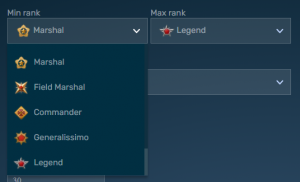 The higher your rank, the more maps available to you. 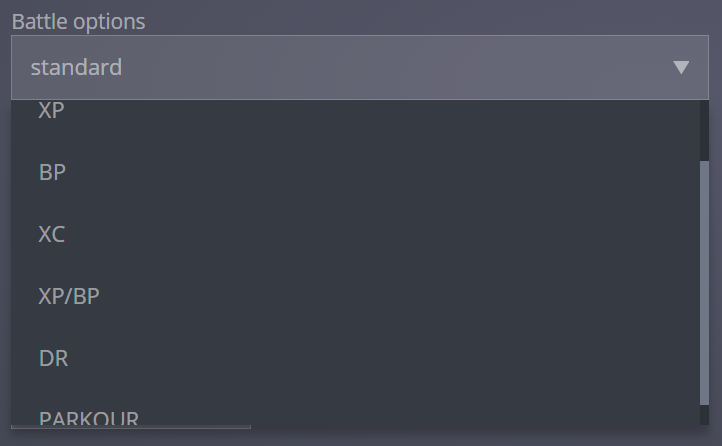 Theme - allows you to create summer, winter, day and night versions of maps. Not all maps have a winter or night modes. Time Limit - time limit of the battle. Set to 0 if you wish to have no time limit. 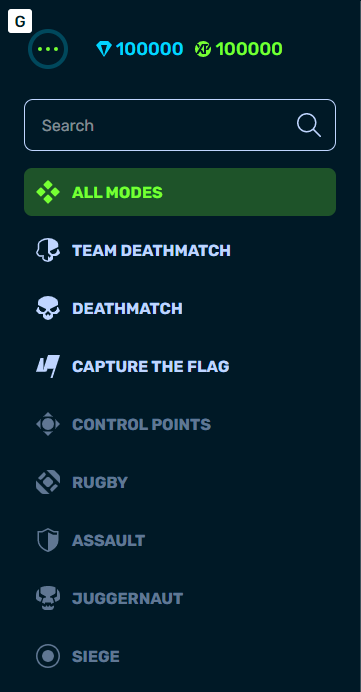 Here, you can also alter the maximum number of players, kills and captures need to win the game. Private Battle — When this setting is turned on, the battle you create will not appear in the main lobby for others, only you will be able to access it (it will be shown next to the symbol ). This makes sense if you want to organize events, clan wars or simply battles with friends without random people. However, in private battles, the battle fund does not grow and for every action, only one experience point is awarded. Be careful! Do not create private battles to take part in illegal actions, including power-levelling, or simply to hide from the all-seeing eye of the moderators - because moderators, like all ordinary battles, also have access to private battles. Bonus Boxes — Enables/Disables the spawning of supply boxes in the battle. However, Gold Boxes are not affected by this change. Gold Boxes — Enables/Disables the spawning of Gold Boxes in the battle. If disabled, there will be the growth of an addition 0.1 in the battle fund. Supplies — Responsible for the use of supplies in the battle. If it's on, you can use your supplies from the Garage. Smart Supplies — Enables/Disables smart cool-downs in the battle, meaning that you can/can't activate all supplies at one. Drones — Allows/Prohibits the use of drones in the battle. This option can't be enabled if the 'Supplies" one has been disabled. Alterations — Allows/Prohibits the use of alterations in the battle. Micro-upgrades — Enables/Disables micro-upgrades in the battle. If it's on, everyone's turrets and hulls will be at their stock parameters. Overdrives — Allows/Prohibits the use of Overdrive in the battle. Friendly Fire — Allows/Prohibits to deal damage to one's own teammates. If on, hitting your teammates will cause damage (doesn't apply to Isida). Autobalance — Allows you to balance the teams in the battle by restraining players from joining the team with more players. Weapon Change — Enables/Disables changing of equipment within the battle. If on, you will have to leave the battle and then change your tank. Clan v. Clan — Allows you to only have players of the same clan on either teams. Players with different clans will no longer be able to join the battle. The last thing is optional, which is giving your battle a custom name. You can do this by typing it in the blank at the very bottom. You're not in possession of an active PRO Pass or a Premium Account. The battle has no more vacant spots. In this case, you can wait and try to join when someone leaves, but someone else may beat you to it! The battle is not available at your rank. Usually, such battles are hidden but you can still access them, by for example, click on their link in the chat. They are always grayed out and appear at the bottom of the list. The battle has been set to a specific format. If this is the case, you need to change your equipment to suit that of the format. If your clan's Supreme-Commander or Leader receives a block, or if you leave a clan, you lose the special privilege of entering PRO battles through the clan system (applicable for ranks Private or higher). In PRO Battles, the anti-powerlevelling mechanism is used to alter the number of points being awards. For example, if the speed of delivery of flags is too high, less points will be awarded to the player capturing them. Upon self-destruction, you lose one kill and five points from your personal battle statistics. In TDM, your overall team's score will be lessened by one kill too. Let X be the number of players in the battle. Picking up the flag: 20% points from 10*X (provided that the flag was delivered). Delivering the flag/ball: 50% points from 10*X with the additional points of transfers. Return of the flag: 0—50% points from 10*X, depending upon the distance of return (the further the flag from the pole, the more points will be awarded). This page was last modified on 14 August 2018, at 02:43.